The world’s refractories manufacturers are proving resilient, despite mounting pressures on the sector. How is this most traditional of industries adapting to unpredictable circumstances? The merger of Austria-headquartered RHI with Brazilian rival Magnesita helped it to secure about 70% of its dolomite and magnesite supply, even though RHI was forced to divest its long-held European dolomite business in order for the deal to be approved, writes Rose Pengelly. 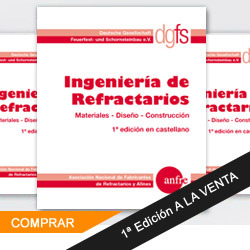 The global refractories industry has undergone significant change in the past five years. Increased competition from Asian refractories producers, falling specific consumption in steel and cement making, tightened environmental regulations and complications in sourcing raw materials have all had an effect on the sector. One of the most obvious responses to these trends has been a rise in consolidation, with manufacturers seeking to pool costs, expertise and supply chains to stave off operating pressures. The largest merger seen in the refractories industry in recent years was the tie up between Austria’s RHI AG with Brazilian competitor Magnesita Refratarios, announced in October 2016. The deal was estimated to be worth $500 million and to create a business with annual revenues exceeding €2.5 billion ($3.1 billion). Given that various market analysts estimate the value of the global refractories industry at around $23 billion, the merger amalgamated a significant chunk of the market. Rather than being a consequence of tougher market conditions, those behind the mega-deal argue that the creation of RHI Magnesita, the name by which the merged entity is now known, was a natural next step for the two businesses. Meshing together two giant refractories businesses with vast global supply chains and customer networks is no mean feat. After 10 months of intensive integration, Steiner says that RHI Magnesita finally started to deliver on its merger goals at the end of October 2017. Among these were the ability to better manage cyclicality in the refractories industry and to attain greater control of raw material sources. To gain approval for the merger from the European Commission, however, RHI was ordered to divest some of its raw materials operations, including the entirety of its long-held dolomite business in the European Economic Area (EEA). Meanwhile, Magnesita was instructed to relinquish the production and sale of magnesia-carbon bricks in the EEA. The contribution to revenue from these two businesses amounted to roughly €100 million in the 2016 financial year and represented around 3-4% of the combined group’s pro forma revenue. “It is always a tough decision if a company has to divest important assets, market share and revenue. However, we… are convinced that the complementary nature of the combined group and strong dolomite product portfolio of former Magnesita, including [its] dolomite mines – such as the York mine in the United States – enable us to offer our customers an even broader range of products and services,” Steiner said. “The first immediate area for synergies is purchasing, where we have made substantial progress due to the combination. Our teams are also working to establish the best possible production and supply chain network and thus transferring products to the most suitable sites in the wider network,” he added. “This will lead to further productivity and capacity improvements, lower logistics costs and better customer service due to greater customer proximity,” he said. Large merger and acquisition (M&A) processes, such as the RHI Magnesita deal, can rapidly reshape the refractories landscape and help to extend a company’s reach into territories fiercely guarded by competitors. But some are skeptical about the ultimate value of such major transactions, which typically incur large consultancy and legal costs that take time to pay off. Customers are also generally wary of M&A deals, because they fear reduced competition and weaker bargaining power, ultimately leading to higher prices for products. Refractories industry observers, who preferred not to be named, told Industrial Minerals that intra-regional bolt-on acquisitions tend to be more efficient from a transactional point of view, but are regarded with similar suspicion by buyers. “When a large company picks up a smaller one to bolster its presence in a particular product area, this often involves a price rise for the customers of the smaller business, and can lead to a reduction in the range of products on offer, because the bigger parent company will often cut a few marginal [product] lines,” one sector consultant said. A recent example of a mid-size regional M&A deal in the refractories industry was France-headquartered industrial minerals giant Imerys SA’s takeover of French speciality cement maker Kerneos for an estimated €880 million in 2017, to form a new division, Imerys Aluminates. At the small end of the scale, France’s Saint-Gobain High Performance Refractories announced in December 2017 that it had acquired, for an undisclosed sum, US-based Spin-Works International, a niche manufacturer of 3D-printed and extruded silicon carbide ceramic components that improve energy efficiency in high-temperature industrial processes. Even RHI Magnesita did not get everything it felt it needed through its merger and, in November 2017, the company acquired Sweden’s Agellis Group to expand its expertise in sensor and measurement technology. While some customers bemoan the apparent contraction of choice in the refractories sector, proponents of the trend say that M&A gives buyers access to a greater range of products from a single supplier, and the benefit of enhanced research and development (R&D). They add that such tie-ups are vital if manufacturers are to weather the industry’s challenges. They also say that we should expect to see more of these deals. “We believe that the refractory industry is facing further global consolidation, which will be especially strong in less-developed regions and markets such as Asia and particularly China,” RHI Magnesita’s Steiner said. This view was echoed at this year’s India International Refractory Congress (IREFCON) meeting in Delhi earlier in March, where chairman Parmod Sagar outlined the knowledge-sharing benefits of M&A. “There is a lot of consolidation going on in the international refractory market and we are looking forward to [learning] the best technical practices from our global counterparts to cater to the needs of our key customer industries,” Sagar said. He also pointed to the rising cost of refractory raw materials, which IREFCON calculates have increased by an average of 18% over the past two years. 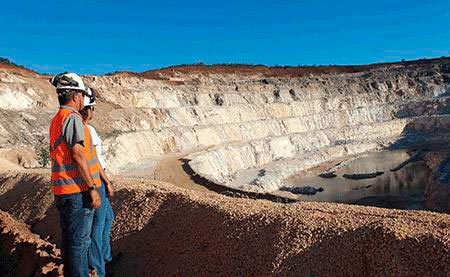 Sagar said that while consolidation can reduce exposure to mineral price volatility, refractories companies in import-dependent nations such as India would benefit from more investment in domestic mining of refractory minerals such as magnesite, non-metallurgical bauxite and alumina and graphite, to help boost supply security. Others have rejected the lure of major inorganic expansion. In 2014, UK-listed Morgan Advanced Materials rejected a £2 billion ($2.8 billion) bid from rival British refractories maker Vesuvius. Morgan claimed that Vesuvius’ all-share offer undervalued the business and would expose its shareholders to Vesuvius’ low-margin iron and steel refractories arm. Both companies performed well as separate units in 2017, thanks largely to a revival in global steelmaking. But according to one industry expert, both Morgan and Vesuvius may come to regret the decision not to merge if the UK fails to reach a satisfactory trade deal with the EU following its exit (Brexit) from the political and economic bloc. “Some of the products [that Morgan and Vesuvius] make rely on raw materials and components that cross the [English] Channel several times before the finished item is sold,” the expert told Industrial Minerals. “Both companies have large overseas operations and vertically integrated supply chains, but their European business could get more complicated. They might have found it easier as a single large company,” he added. The British Ceramic Confederation (BCC), which represents a cross-section of UK industries, including refractories companies, has said that Brexit offers UK manufacturers important opportunities, such as a chance to develop a “more carrot and less stick” alternative to the EU’s Emissions Trading Scheme, which it feels unfairly penalizes industrial companies. It has, however, warned that UK ceramics producers face a significant export gap if the country’s current customs union trading relationship with the EU is not replaced. “With 50% of the [UK ceramics] sector’s exports sold to the EU, we need to ensure an adequate and comprehensive tariff- and barrier-free UK-EU trade settlement,” BCC said last year in a policy paper aimed at the UK government. A spokesman for BCC told Industrial Minerals that, before the referendum on the UK’s membership of the EU in June 2016, around 75% of its members were in favor of remaining in the EU. “We have now shifted our focus to making Brexit work for our members on our key issues of energy and trade. Poor UK trade remedies, import tariffs into the EU and regulatory divergence would all be unwelcome,” he added. Refractories producers both in the UK and the EU have called for strong, coherent industrial strategies in their respective jurisdictions, which they say are vital to ensuring that their operations remain competitive with other global suppliers. According to Cerame Unie, measures needed to support European refractory ceramics makers include provision of a business-friendly environment, improved access to skills and training, more research and innovation, better access to finance, and reform to international trade. In the US, another major producer of refractory materials, tough talk by Republican President Donald Trump about protecting US industry has not so far translated into any specific strategy and direct legislation for refractories. But US refractories producers are expected to benefit from the country’s December 2017 reduction in corporate tax rates to 21% from 35%, and could potentially receive a boost from the recently announced import tariffs on steel and aluminium, if this leads to the intended increase in domestic metal output. The unpredictability of the Trump administration’s trade policies is, meanwhile, causing consternation in other parts of the world, particularly among UK and European refractories exporters. “The UK refractories sector is very export-driven, so the uncertainties that exist around our future trading environment, both in terms of Brexit and the Trump administration’s approach to international trade, are very important,” the BCC told Industrial Minerals. Reliable supply of good-quality raw materials has been a concern for refractories makers for a number of years. The removal of Chinese export quotas and taxes on certain refractory raw materials, such as magnesia, resulted initially in a surge of supply on the international market (export volumes in 2017 rose by 94.1% year-on-year to 653,528 tonnes) and a corresponding decline in prices. But a pollution crackdown affecting sintering plants, and restrictions on magnesite mining in 2017, coupled with an uptick in demand, caused availability to tighten and prices to rise – a situation that posed particular problems for major importers such as India. RHI Magnesita’s pooling of resources has alleviated some, although not all, of its raw material concerns. “The availability of our own raw materials is crucial and enables us to guarantee our customers consistently high product quality. [We now supply more than 70% of our own] basic key raw materials, namely, dolomite and magnesite,” Steiner told Industrial Minerals. The group now produces around 50% of all its raw material needs, he added, but still depends on Chinese supply to make up the rest. “The dramatic increase in the market prices of several key Chinese commodities, especially smelting and sintering magnesia, has naturally weighed heavily on our cost structure in recent months. In order to further increase the backward integration of these raw materials in the future, we restarted our raw materials plant at Porsgrunn in Norway, which recovers the highest-value fused magnesia from seawater,” Steiner said. PRE, through its various national associations, is continuing to lobby the EC for decisive action under its Raw Materials Initiative, which critics say has so far done little beyond outlining a list of raw materials that are critical for EU industries. Although China’s latest policy decisions have proven to be a headache for importers of Chinese raw materials, Steiner points out that there are some potential long-term benefits to the international refractories industry, which has long complained about the market being flooded with cheap Chinese refractory products. 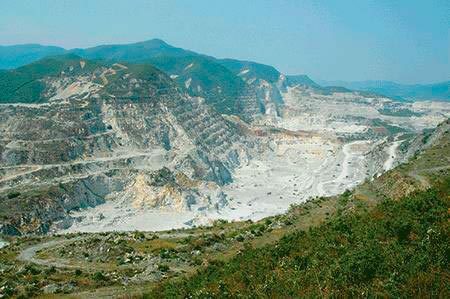 “Recent actions by the central Chinese government have led not only to significantly lower availability of magnesite raw materials but also to higher requirements on environmental, health and safety topics, and thus to higher costs for Chinese producers,” he told Industrial Minerals. This, according to Steiner, means that the cost structure of Chinese refractory manufacturers is now developing closer toward the international average, thereby levelling the playing field for foreign competitors. To cope with, and even benefit from, some of the challenges facing the refractories industry, manufacturers are investing significant sums in new technologies and adapting the way they do business to stay abreast of changing trends. RHI Magnesita, which has a 270-strong research and development (R&D) team, and BCC members have highlighted the importance of “full service offerings” as a way of insulating their businesses from uncertain trade policies and the effect of falling specific consumption of refractories, while processes such as steel- and cement-making become more efficient. “Our full-service offers to clients are already facing high demand in developed countries and are becoming popular globally,” Steiner said. Efficiency is also a major driver of technological advances in refractories, with pressure mounting on the sector to decarbonize and to become greener all round. “A particular area of innovation [among BCC members] is around energy-saving refractories that help to mitigate the environmental effects of high-temperature processes,” BCC told Industrial Minerals. RHI Magnesita, which operates 35 main production sites across 16 countries, faces the challenge of complying with a complex patchwork of local and international environmental regulations, all of which are becoming tighter. “[As a leader in the international refractories industry,] we are required not only to comply with all given standards and to work with local authorities, but also to define new ones globally,” Steiner said. “When looking into the environmental legislation of the different countries, one can see that there is still a significant gap in individual national environmental standards. Whereas the EU already has ambitious levels, we can now see a drastic change in legislation in Asia,” he explained. Recent policy developments and tougher environmental regulations in China have led to very strict limits for nitrogen oxide and sulfur dioxide pollutants, among others, that are emitted from factories. Many refractories plants are also being forced to switch from running on coal to using natural gas instead, and to install scrubbers to clean flue gasses. As with other industries, the refractories industry’s efficiency drive is being boosted by digitization. “We believe that products themselves, but especially processes, machinery and the supply chain, will get smarter in the long run,” Steiner said.